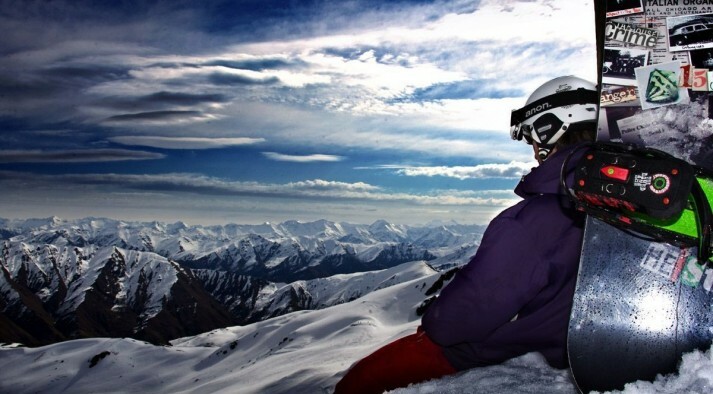 Ohau ski field is situated on the Ohau Range in the Main Divide, off the highway between Twizel and Omarama. The ski area is set on Mount Sutton (2000 metres) and overlooks the beautiful Lake Ohau and the valley towards Mount Cook. A regular winner of the Ski Area Service Awards, Ohau is more than just skiing and snowboarding! The opportunity to get away from the crowds, check out a ski area that most people never get the chance to visit, and experience the friendly team and great atmosphere at Ohau is well worth the drive from Wanaka. Add to that some excellent hiking, and challenging off-piste terrain, there is a good reason why Ohau consistently ranks among the favourite ski areas for NZ Snow Tours clients. Ohau is serviced by a double chairlift, a platter, and a magic carpet. 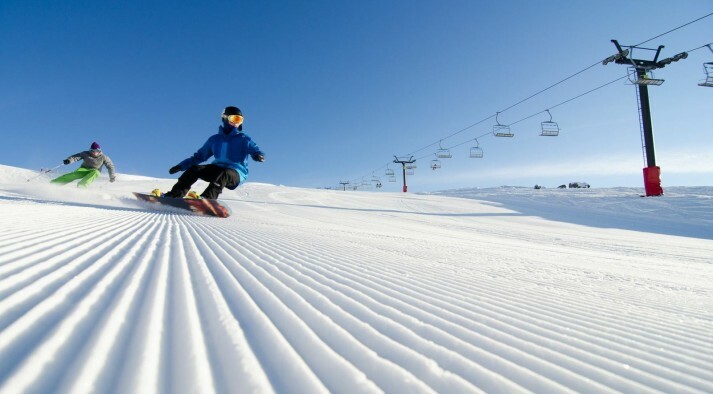 Beginners are catered for with a very gentle slope serviced by the magic carpet, and the platter lift gives them their own area to further develop. Intermediates have many top to bottom runs from the top of the chairlift including the long groomed "The Boulevard", as well as many off piste choices. 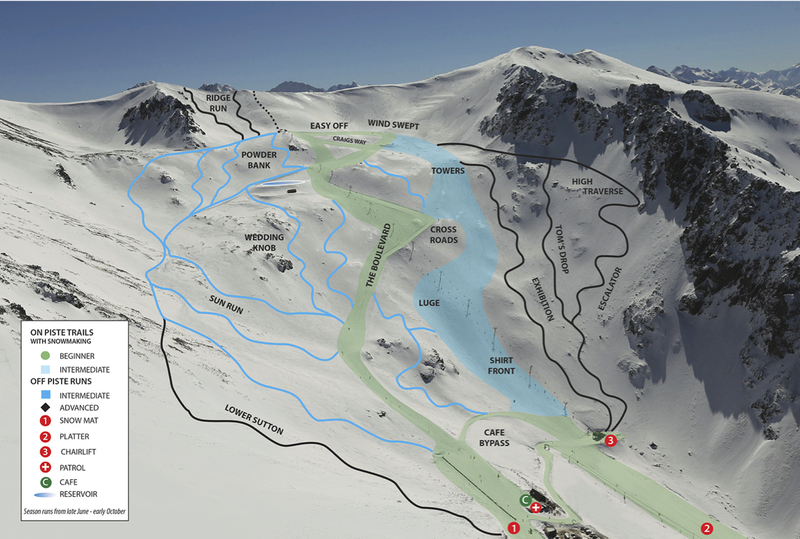 The chairlift also provides access to challenging runs for advanced riders. Traversing across to your left opens up the steep straight runs of Exhibition and Escalator. 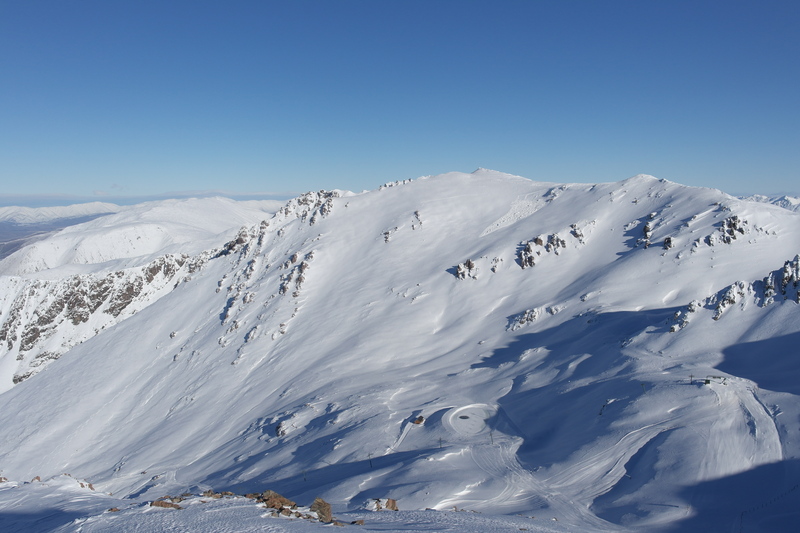 Ohau is blessed with reliable snowfalls and the main trails are groomed regularly.